Pipe Band Drumming has evolved substantially in the last 10 years. Through the power of the internet, people are able to access a plethora of pipe band drumming lessons, music and videos. Scottish drumming “experts” have been popping up all over the place, as well as a few imposter’s. Like anything nowadays, it’s easy to be misled on the internet – with individuals pretending they are something they are not. I want to help you find the best possible pipe band drumming instruction so that you don’t waste your hard-earned money or time! 1) Do your research for a qualified pipe band drumming teacher. You can easily find out a lot about a pipe band drummer through a few google searches. 2) Look at the pipe band drummer’s reputation. Are they a qualified instructor? Have they produced any good results with their students? Are they a successful performer themselves? 3) Don’t settle for less. You can pay $40+ for a mediocre pipe band drumming instructor, or you can pay an extra $10 or $20 and get World-Class Scottish drumming lessons. 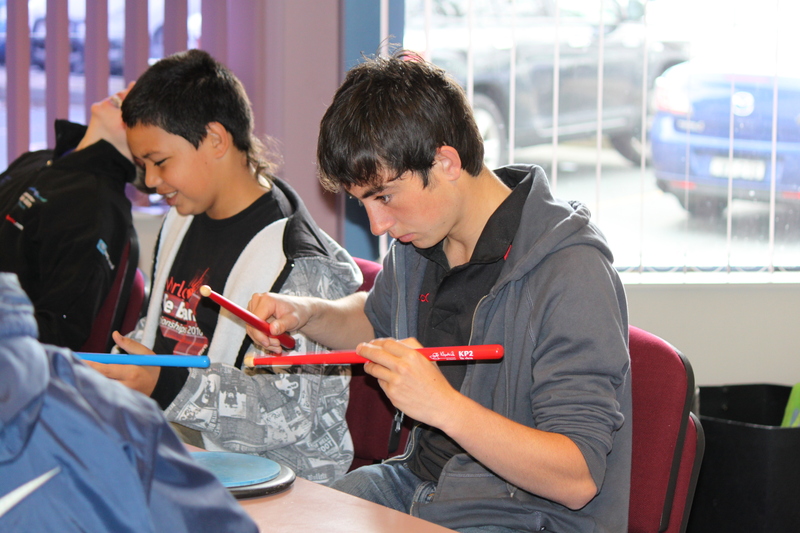 Many pipe band drummers simply attend band practice and hope to learn effectively. In reality, it’s sometimes difficult to receive one-on-one quality tuition in a group environment. 4) Don’t be afraid to shop around. Perhaps try a few different scottish drumming instructors until you find someone who works for you. 5) Buy yourself some great pipe band drumming sticks and a reasonable drum practice pad. You don’t need to spend a fortune, but do make sure you get a quality snare drum stick and practice pad. Check out some options for your pipe band drumming equipment here. 6) If you can’t find an instructor locally then look for a Pipe Band Drumming Tutor who teaches via Skype. Whether you live in Glasgow, Belfast, Sydney, Vancouver, Toronto, New York, Cape Town or Dublin – you can get great pipe band drumming instruction via Skype. 7) Give yourself a good head start with pipe band drumming by investing in a good pipe band drumming book or tutor manual. 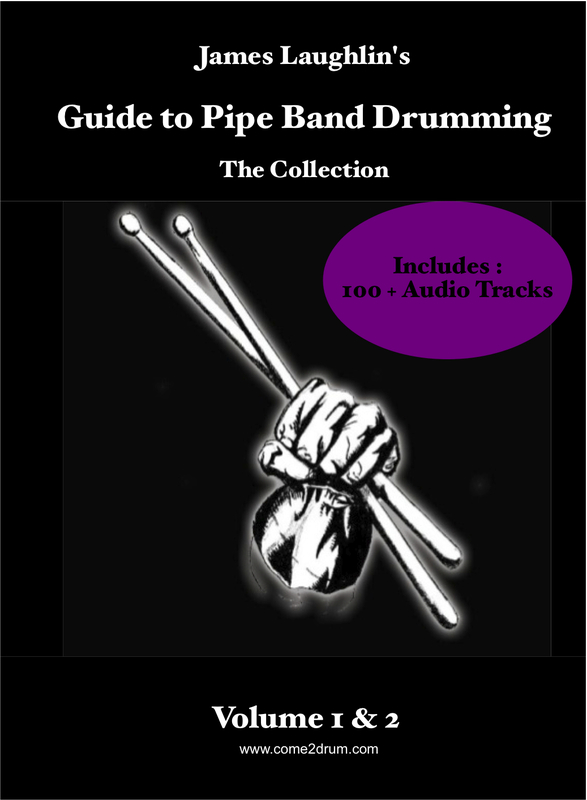 There are a few fantastic Pipe Band Drumming books available including the Guide to Pipe Band Drumming and the Alex Duthart Book. Both books are internationally renowned and Best-Sellers in the pipe band drumming market for Scottish drumming students. Another thing to consider : There are a small handful of qualified World Champion Pipe Band drummers teaching Scottish drumming via Skype. Not too many musicians can get drumming instruction from World Champions on their chosen instrument. Take Advantage! 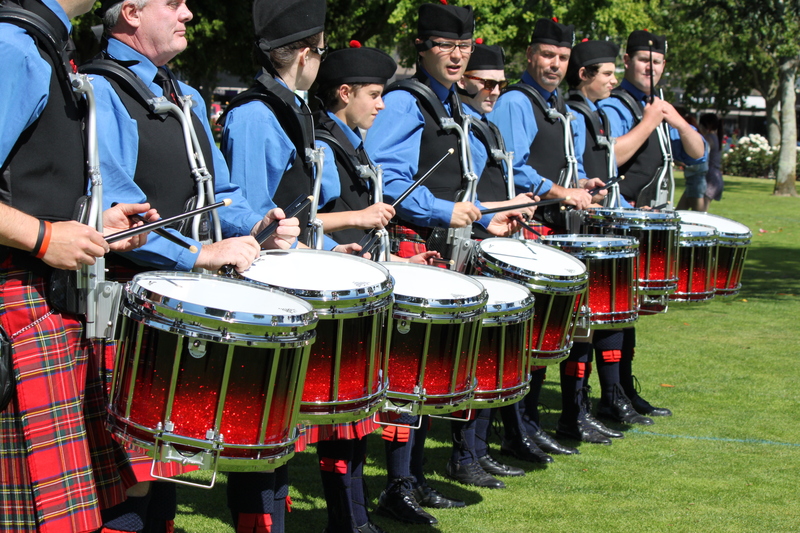 Palmerston North hosted another fantastic pipe band competition this past weekend. Bands from all over New Zealand (and one from OZ) – travelled to Palmy to compete for the title. The Manawatu band won the Grade 1 event overall. The Canterbury Caledonian Pipe Band from Christchurch won the Grade 1 Medley and took 2nd place overall in the contest. Auckland and District Pipe Band, former National Champions, took third place. 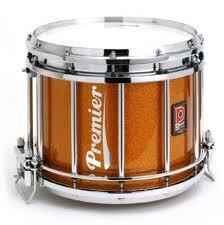 The Canterbury Caledonian drum corps proudly played on their Premier HTS 800 Snare drums. Canterbury recently became the first New Zealand pipe band to receive a drum endorsement from World famous Premier Percussion. Canterbury Caledonian Pipe Band Drum Corps.